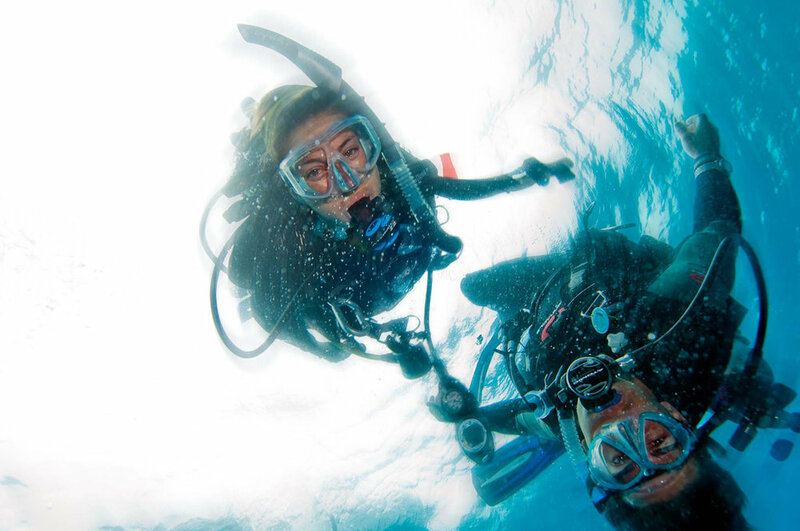 A wonderful PADI course that fits into your holiday without taking up too much time. It is popular with guests who have tried a PADI Discover Scuba Diving Experience and wish to credit this first time pool lesson and dive towards getting certified. The PADI Scuba Diver certification is also a stepping stone for those who have always wanted to do the PADI Open Water Diver Course but never have the time. Upgrading to the PADI Open Water Diver Course can be done at any point in the future, anywhere in the world, at any PADI Dive Centre. The PADI Scuba Diver Course qualifies you to dive to a maximum depth of 12 metres/ 40 feet, always with a professional. The certification is valid for life. In our opinion it is well suited to vacation or occasional divers in tropical locations. Day 1: Pool Lesson, Dive 1 or PADI Discover Scuba Diving Experience. (Time: 2.5 hours). Day 2: Reading in your own time. (Time: 3 hours), Pool Lesson 2 & 3 (Time: 2.5 hours). Day 3: Tutorial (Time: 1 hour), Dive 2 (Time: 2 hours). PADI Open Water Manual and PADI Training Log book. Tutorials, pool work and two Open Water Dives. PADI Scuba Divers must be fit to dive according to the PADI Medical. Should you have to answer "yes" to anything on the form then you will need to get medical approval to dive.